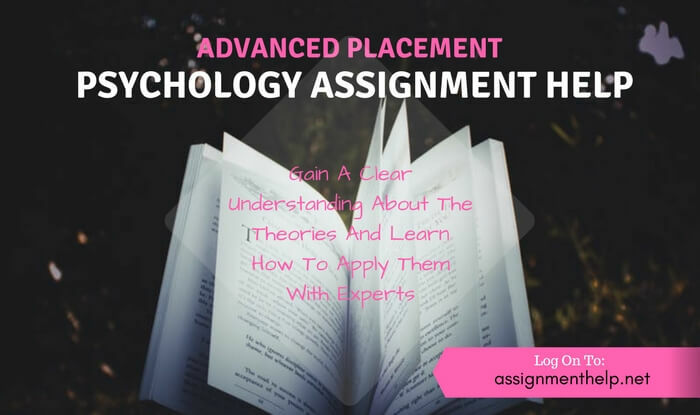 For the students who are willing to take up psychology major in college, Advanced Placement Exam Board provides an opportunity to take a look into the brief course details of Psychology through the AP Psychology course. The exam consists of 2 sections: firstly, a 70 minute multiple choice questions and secondly 50 minutes free response questions. From 2011 onwards, there is no longer negative marking for the wrong answers. The main aim of this course is to give the students a brief glimpse of the scientific study of the behaviour and mentality of the human beings as well as the other animals. They also get to learn the basic principles and theories of the everyday applied psychology. The students are required mainly to evaluate certain psychological concepts in the Free Response part. They need to gain a clear understanding about the terms; the theories and most importantly they need to learn to apply those theories to analyse certain concepts and behaviours. The students are required to learn how the psychological viewpoints shape and develop their psychological thoughts through a course on brief history of psychology and how different terms came into being. The origin of psychology goes back to the prehistoric ages. The evidences show that even creatures like monkeys and apes suffered from psychological disorders like depression, anxiety, functionless behaviours etcetera. During Stone Age, humans, as it seems, tried to cure the victims from various mental problems. Those persons, we might think of them as distantly connected to the psychiatrists, were called shamans. In order to drive away the ‘evil spirits’ they used to perform a sort of medical treatment, known as ‘Trephination’. It involves drilling a hole with half inch diameter in the victim’s skull. The evidences suggest that a large number of people managed to survive the operation which could be the result of the healers’ expertise and growth of the bone after the procedure. In 1879, German scientist, Wilhelm Wundt established a psychological laboratory in Leipzig, Germany. There he trained almost 180 students from all over the world. Through introspection, the subjects were asked to record their cognitive reactions, as in emotional ones like shock, anger, pain and so on. Studying the stimuli, he managed to develop the theory of Structuralism that the mind operates through combining subjective emotions and objective feelings. According to this they break an emotion into fragments as they believe the combination. Later, the second important paradigm of psychology developed as Functionalism, the study of the mental procedure. Being influenced by Charles Darwin’s theory of Natural Selection, the supporter of Functionalists decided to find out the reasons behind the mental procedures. William James was one of the most influential among them. Through the phrase ‘Stream of Consciousness’ he argued that consciousness can’t be broken into parts since the whole of it works in unison and change accordingly. However, the methodology of Wundt and James went into background as in 1913, John Watson rejected the theory of consciousness and started putting emphasis upon the observation of the behaviour of the living beings which gradually led to Behaviourism. B.F.Skinner was the most influential figures among all of them. He shaped the ideas of Watson in better and detailed ways. Conscious Mind: This refers to the logical, rational workable part of the mind. Subconscious Mind: This refers to the part of the mind which acts as a barrier between the Conscious and the Unconscious parts of the mind. This part acts as a resistance towards the fear, anxiety and other problems, remembers the long term memory. Apart from these approaches the others are: Socio- Cultural and Eclectic perspective. Socio-cultural perspective talks about the importance of having different perspectives for different kinds of people and cultures. Eclectic approach too focuses on different perspectives for different objects. know the methodology, certain methods and disciplines so that they can differentiate between those methods and apply those methods in their lives if situation occurs. This course on the methodology enables the students to differentiate between types of researches like Experimental, Survey, Case studies and so on; to identify the dependent, independent elements in the research findings. This course also helps them to apply the concepts of basic descriptive statistics which includes interpreting and charting out graphs and calculating the statistics, to learn the role of Ethical issues in the research practices. However they are also required to maintain sound ethics and protect the privacy of the research participants. Let’s have a look at the different modes of methodology. This method includes manipulating one variable to check if any kind of change occurs in the other one. This method has its root in the controlled methods, assignments, manipulation in order to test hypothesis. Generally the experiments are lab based as these allow more control over the variables. Sometimes the experiments need to do field work, especially if they are experimenting on some social behaviour. The experiments generally are based on Scientific methods. The basic steps are forming hypothesis, the variables and collecting the data, analyse the data in order to find out the conclusion, and share it. This method is based on the association. It is the measure to show how much the two variables are related. It’s of 2 kinds: Positive and Negative. Positive: When the change in one variable causes similar changes in the other one too, then it’s called Positive Correlation. Negative: When the change in one variable increases and the changes in the other one decreases it’s called Negative Correlation. No Correlation: This pattern suggests the absence of any kind of relationship between the 2 variables. This method can be performed through various observations like the Natural Observation, Survey Method, Archival Research Method and so on. Clinical research method in psychology is a combination of medical science, theory as well as clinical knowledge in order to understand, resist, and relieve psychological distress and disorders and anxieties. It can be associated with Freud’s method of Psychoanalysis. It includes issues related to the intellectual, emotional logical sides as well as the social behaviours and the personal ones too. The information about the patients can be collected from the friends and family, school records, medical records, interview, observation of the behaviours and so on. This therapy focuses on listening. As we have often seen people can feel cured after they talk about certain things to their close ones like issues related to anxiety, deep seated fear, grief, disorder and so on. In today’s lifestyle, stress is something which we can’t escape therefore it can be of an excellent help if the students know about these problems and can apply diagnosis in their daily life if the situation occurs. Freud’s theory that the behaviour of the human beings is not random, it can be the result or the cause of trauma of childhood, residing in the ‘Unconscious’ which gradually come into the surface and create problems. Also, according to Skinner, Aaron Beck, people become psychologically disturbed and problematic due to their faulty ways of thinking. Cognitive-Behavioural psychologists tend to change these faulty ways of thinking. This is a method to provide a summarized account of the collected data in the field of Psychology. Graphical representations such as bars, charts, graphs are an important part of the Descriptive Statistics. Some of the descriptive statistics units are mean, average, mode etcetera. Inferential Statistics, unlike Descriptive Statistics, works on the small sample instead of the whole. Descriptive Statistics provides the scenario where as Inferential Statistics explains the scenario. Participants must be informed by the researchers about the kind of research, the purpose, procedure, risks and benefits concerning the researches, the length and the contact person. The researchers must gain permission regarding all the upper mentioned concerns from the participants. At the day’s end the participants of the research project must be known about the research details. The participants must be protected from any kind of physical and mental harm. The participants must not be deceived. The confidentiality must be protected. Regarding the animal subjects, researchers must treat them as humanly as possible and maintain their welfare. The relationship between the physiological process, behavioural process, the influence of neural function and the nervous system is of extremely importance. Therefore the students of the AP Course are supposed to have sufficient knowledge about this field. This topic will teach them to identify between the basic process and the systems of the neurons and the process of transmission of signals between the neurons, to learn the influence of drugs on neurotransmitter. While learning these, the students are also required to learn about the entire Nervous system and the role of neuroplasticity in traumatic brain injuries. All of these things are important to identify the influence of all these on the person’s psychological aspects, as we can witness in the works on Paul Broca, Darwin, Carl Wernick and so on. Now let’s take a quick glance at the different steps of biological basis of behaviour. Physiological Techniques, as the term suggests, are used in the Physiological Psychology which is a branch of psychology which is concerned with the biological basis of behaviour and very much related to the Neuroscience. It connects the functioning of the brain with our mental behaviour. This part focuses on the practical and experimental parts of the course. The main part here is the Nervous System It controls the entire functioning of the body. Consisting of brain, spinal cord, nerve tissues its main work is to produce responses to the internal and external stimuli. By using chemical and electrical signals it sends responses to different parts of the body. The brain is the central part of the CNS or Central Nervous System which contains millions of Neurons. Emotions are also majorly responsible for the human behaviour. Behavioural elements produce the muscular movements which accompany that particular emotion. These emotions affect certain areas of brain. The effects may cause the secretion of certain hormones like Oxytocin, Adrenocorticotropic hormone, Serotonin, Dopamine and so on. As its name suggests Neuroanatomy suggests, it studies the anatomical structure of the Nervous system. It is connected with Neuroscience and it’s connected to the concept of Psychology as it also deals with the effect of certain brain injuries on the behaviour. In order to understand the basic concept of Neuroanatomy we have to understand the structure of the nervous system which is divided into Central and Peripheral Nervous System. Central Nervous System or CNS consists of Brain and Spinal Cord. Peripheral Nervous System consists of the Neurons which are further divided into Autonomic and Somatic Nervous System. Somatic nervous system consists of neurons which convey sensory information. Autonomic nervous system is further divided into 2 sections: the Systematic Nervous System, which becomes activated during the time of ‘do or die’ situation; the Parasympathetic Nervous System, unlike the Systematic one, enables the body to rest and to be able to store energy. Now, let’s have a glance at certain psychological problems caused by the certain problems of brain. Among several problems, most problematic is the Schizophrenia, a mental disorder due to which the patients show signs of abnormal behaviours, difficulty to realize what is real and also suffer from hallucinations, confused thinking, memory loss and so on. Both the genetic and environmental elements can cause the problem. Who has a family history of Schizophrenia may have the chances of being affected by it. The difference between the sizes of the ventricles in the brains, filled with CSF or Cerebrospinal Fluid can resulted in the disease. The larger the ventricle, the problem is more acute. Another kind of disease is Bipolar disorder. It’s a kind of mental illness, indicated by rapid and sudden mood swings, from manic to depressive kinds. These patients may feel excited euphoric at first but gradually it worsens as the patients might start to get used to drugs, alcohols, impulsive abnormal sexual behaviour and so on. The situation gets worse if it’s not treated properly and timely. The other kind of mental problems can be OCD or Obsessive Compulsive Disorder, Anxiety and so on. The nervous system consists of 2 parts: CNS and PNS. CNS is divided into brain and spinal cord and PNS is divided into Autonomic and Somatic nervous system. Autonomic nervous system is sub divided into Sympathetic and Parasympathetic Nervous System. Somatic nervous system is also divided into 2 parts: Sensory nerves and Motor nerves. The structure of our genes is functional into determining our behaviour. As the name suggests Behavioural Genetics studies different behavioural traits and how genes influence the behaviour. Gregor Mendel is the most important developer in this field as he showed us how the genes, genetic qualities influence our genetic behaviours. It has been proved that by gene manipulation, one can control certain behaviour patterns. Evolutionary psychology is an effort to understand and explain the complexity of human brains and psychology. This branch studies the process of Natural Selection, Social Behaviour. It deals with both scientific and social background of human evolution and behaviour. As we discussed earlier, the course of the AP Psychology Exam is quite vast and interesting. We discussed the initial parts earlier, now we’ll move on to the next few things. In order to know about the environment the stimuli needs to activate the sensory organs. Perception refers to interpreting the sensory inputs as cognitive process. The students are required to learn the basic principles of the sensory transduction, signal detection, sensory adaptation and so on. Also they are required to learn different sensory processes like hearing, vision, kinesthesis and so on. During the exams, questions can be asked on the common sensory disorders, general principles of organizing sensations to promote, common beliefs in parapsychological phenomena, major historical figures in this topic, like Gustav Fechner, David Hubel and so on. The psychologist is supposed to check the sensitivity of the sensory systems which developed certain threshold. This developed into certain threshold. Experts describe the term ‘threshold’ as the level of intensity of the stimulation that any person can detect. The Signal Detection theory discards this idea. They think of detection as a decision making procedure, partly determined by the nature of the stimulus, on the basis of how much sensitive can a person be towards the stimulus. The more sensitive the person is, the less stimulus he or she needs. Two possible responses of the stimulus are whether it’s ‘present’ or ‘absent’. Mathematical approaches have been used by the Psychologists. The index of sensitivity is called d' (called d-prime). The main idea is that the neurons are constantly sending information to brain, even though there is no stimulus at work which is called Neural Noise. The information sent to certain part of the brain as a means of nerve impulse, are received by the sensory receptors. The brain therefore interprets these sensations and produce particular perceptions. The process is divided into two processes: Sensory Reception and Sensory Transduction. Sensory Reception refers to the process of detecting the energy of stimulus through sensory cells. These cells refer to the specialized neurons that can be either single or groups which form complex organs like eye or ears. These receptors respond to stimuli and then convert the energy into electrochemical energy capable of action. In this process, the energy of the stimulus gets converted into electrochemical energy. This can be also called Receptor Potential. It refers to the conduction of the impulses to the nervous system. 1. Mechanoreceptors: It refers to the physical respond to the pressure, touch or any kind of sound. Generally there are four types present: Pacinian Corpuscles which detect strong pressure, Meissner’s Corpuscles and Merkel’s discs which can detect light pressure, Ruffini Endings..
One of the most important sensory organs is the Eye which includes parts like retina, optic disk, pupil and so on. The process includes some steps. At first the lens focus on the light rays, thus forming the light image; next transduction of the light energy becomes possible in the photoreceptor cells named rod and cones. In the membrane discs of the rod and cone visual pigments remain embedded. These visual pigments consist of light absorbing molecule named retinal which is attached to a membrane protein named Opsin. These Retinal and Opsin are called Rhodopsin in the Rods. Unable to distinguish between the wavelengths of light it produces the black and white vision. On the contrary in Cons, those 2 are called Photopsin which give us the colour vision. Among the four layers of cells the deepest layer is attached to the inner surface of the choroid coat. The layer is pigmented and its function is to absorb the light which, otherwise, has a chance to reflect about the inside of eye. The next layer is filled with Rods and Cones, the actual light receptors. The next layer is filled with Ganglion cells which form the Optic Nerve. Signals are carried by the Horizontal cells from one Rod cell to other receptor cells and other bipolar cells. Amacrine cells spread information from one bipolar cell to other ganglion cells. This is the way the cells carry information through-out the brain. The right and left Optic Nerves are formed by the Ganglion cells. Another very much important sensory organ is Ear. Now let’s take a look at the different parts of the ear. It can be sub divided into 3 parts: Outer, Middle and Inner. Outer ear is further subdivided into Pinna, Auditory Canal; Middle ear into Eardrum, Malleus, Incus, Staps, Oval window and Inner ear is further divided into Cochlea, Utricle, Saccule, Semicircular canals and Round window. In order to initiate the process of ‘hearing’, the ear converts the pressure energy into nervous impulses that the brain receives as sound. These sound waves are then collected by Pinna. While they vibrate the Tympanic membrane the bones of middle ear transmit the movement to ova window. Vibrations create pressure waves in the fluid of the Vestibular canal of Cochlea. The Basilan membrane pressurises hair cells into Tectorial membrane. Thus receptions are generated which initiates the action in the neurons and the auditory nerve. Apart from the hearing another very important function of the ear is to maintain the balance and detect the body position. The Saccule, Utricle, Semicircular ends are the participating elements in this work. Attention refers to the level of awareness with which one can actively process the entire specific information and the occurrences of surrounding environment. Basically it’s studied as a part of Cognitive Psychology. According to William James, attention refers to the taking possession of the mind, withdrawal from the rest of things in order to deal with the certain other things of utmost importance. Attention always refers to as being the part of present and present only. However the popular school of Behaviourism during the contemporary time period rejected the idea of Attention as according to them the focus should be mainly on the stimulus-response relations. To them Attention seems to be a not so important concept. During 1940s, when faced with new problems due to the man-machine interaction, they put their faith on the theory of Attention again. Personality of people initiates how that person selects perceptions. People select their perceptions according to their current needs. As it seems that there is always a Motivation at work. The past experience of the people seems to affect their methods of perception. The Size of the object works in its favour. The Intensity of the object also works positively for it. The Contrast of the object with its background also enables people to choose it. Motion acts also in favour of the selection procedure. Apart from these Repetitions, Novelty and Familiarity both increase the selection. After the selection, sometimes the objects can be organized on the basis of figure, groups, closure, proximity, similarity and so on. This, in brief is the Sensation and Perception process.